Tirur, located in Malappuram district is the gateway of Malappuram district. Being one of the main centres in the district, it is bound to serve a very vast hinterland, providing higher order facilities in terms of services, marketing , trade etc. 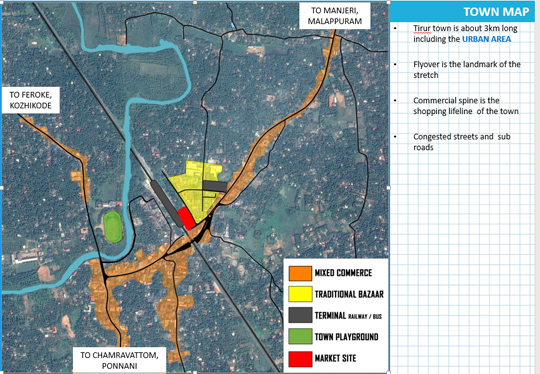 Tirur has an outer rural area, having sparsely developed hinterland with dependence on the facilities and amenities in the municipal area. But infrastructure for commercial developments like markets is not sufficient to bring about development to the vast hinterland. The market occupies an area of 1.7 acres. 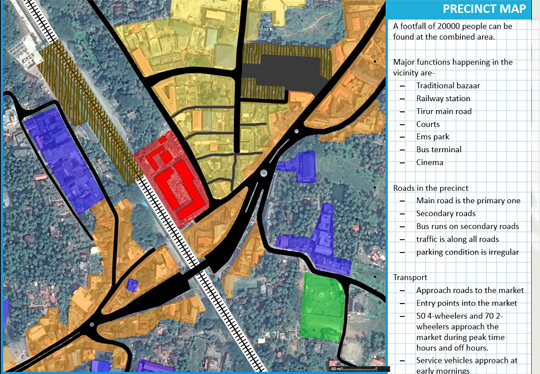 It is situated near the railway line and is close to Malapuram – Manjeri Road. It is well connected by road. The market operates every day from morning to evening. The has wholesale and retail trade and sells vegetable, fish, meat. The present market cannot carry the increasing pressure and thus needs upgradation. The market structures are old and are in dilapidated conditions. There are no proper infrastructural facilities and amenities, lorry stands and parking facilities in the area. The improper organization of spaces and haphazard development has created congestion and havoc in the place. Thus it is a must that it be properly planned for city’s future development and proper order. The project aims at redevelopment of urban space to accommodate a planned urban organized space. This will in effect add to decongestion of core area and thus ease the flow of the area. Owing to the increasing demand and rising trade activities, it is a necessity that this market is upgraded and provided with modern facilities to cope up with the pressure. 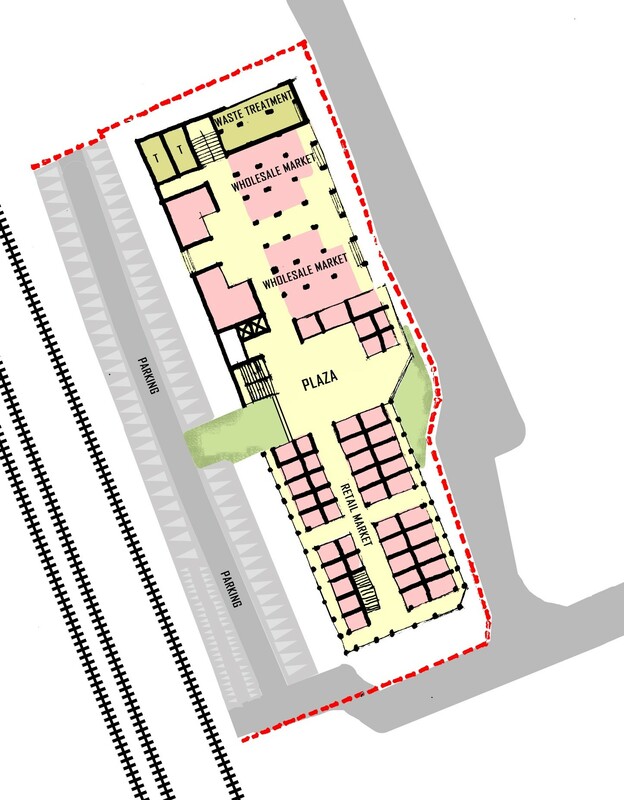 As part of the urban renewal program, the urban space can be planned to reconstitute the land to develop a modern town market with all facilities so it can serve as a city level urban centre.